It's very easy to get caught up in this city for all of it's music, clubs and big shiny loud stuff. Well, as much as we remain a fan of all that is big and shiny, Londonist occasionally needs some down time. Preferably with trees and tweety birds. And there's nothing more relaxing than a walk through the countryside. This is why The Wildfowl and Wetlands Centre is perfect. It's a short skip and jump (in a puddle) away in Barnes. That's only thirty minutes away from the centre of town before you're surrounded by wildlife and wishing you'd brought your gloves. But we didn't because Londonist can sometimes be a bit silly. We also suggest taking a little flask of Irish Coffee with you to keep you warm. For those of you who don't know this secret garden of birds and flowers and plants, it's about 43 hectares in total and it's a great place for watching tweety things and frogs and interesting little critters like that. The great thing is, the wildlife is different no matter when you go. This Londnista was there for her 25th birthday a month ago and there was lots to be seen. We imagine spring to be the best time to go and we'll be back to see all of the little baby one legged frogs that will remind us of school trips. You'll no doubt see us on the benches with our My Little Pony lunch boxes. 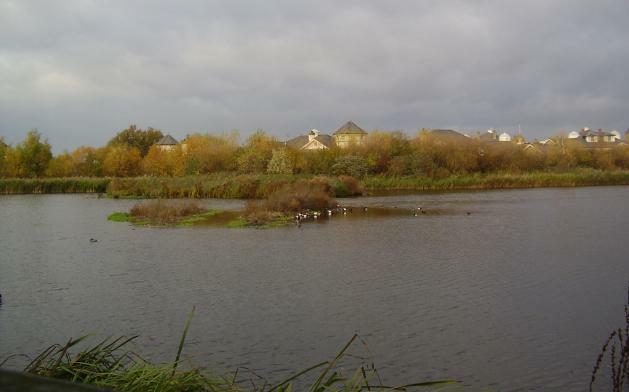 London needs places like The Wetlands and Londoners need to visit it. This is a time when wildlife is fast dissappearing from London. The Wetlands means that there are Kingfishers to see and Oyster Catchers to spot. And a very cool duck with a mohican haircut. In the middle of London that's a pretty amazing thing. The Wetlands saves threatened wildlife. Simple really. They teach kids about why wildlife is important. In it's own environment. Considering someone felt the need to put a cow in London Zoo this can only be a good thing. There are free guided tours as well so you can learn stuff as you walk around. And it's fun. This place is great for strolling around and getting chased by very scary geese. (They really don't like Londonist papparazzi very much.) 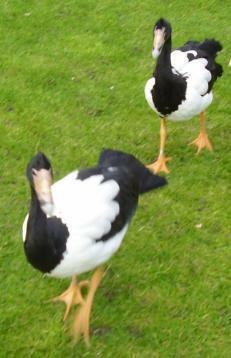 It's a really enjoyable day depsite being pecked. After a stroll around the frankly excellent gift store (in which we almost bought a mug because it said 'Swallow' on it! Hehe! ), we realised we'd missed out more than half of the centre. But it was shivery and our toes were cold. More reason to come back next year. Though next time we'll leave the scary geese alone and we suggest you do the same.